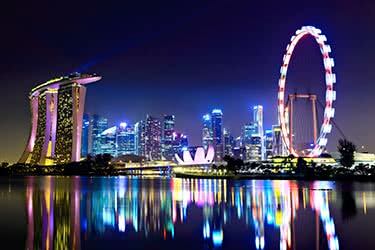 Experience for yourself the similarities and differences between sparkling Singapore and mesmerizing Malaysia. These two countries were once part of the same state, but in 1965, Singapore became independent. 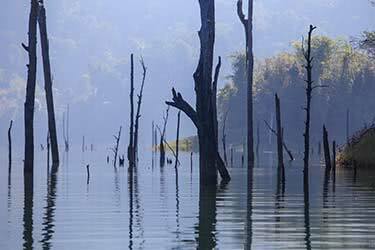 Nowadays, their cultural similarities make them friendly neighbors, while the juxtaposition of their vastly different landscapes make them a fascinating combination to visit on a single trip. 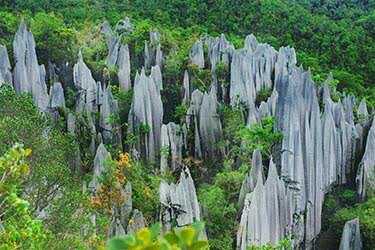 You'll journey from Singapore to Malacca, Kuala Lumpur, Cameron Highlands, Penang, and round off your trip in the paradisaical island of Langkawi. 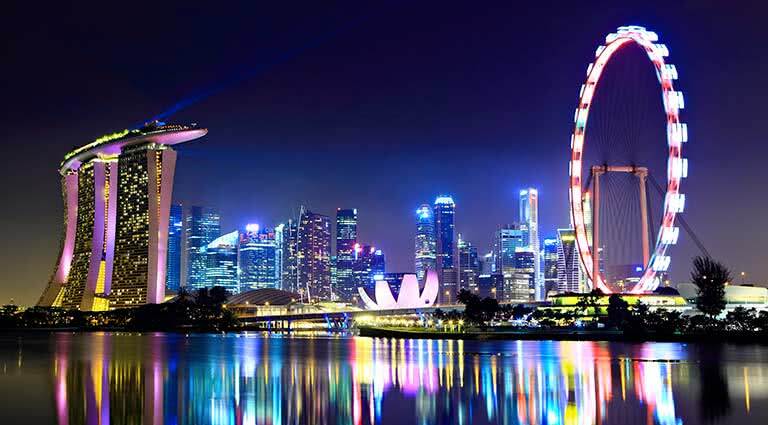 Arrive in Singapore and get ready to begin your journey. 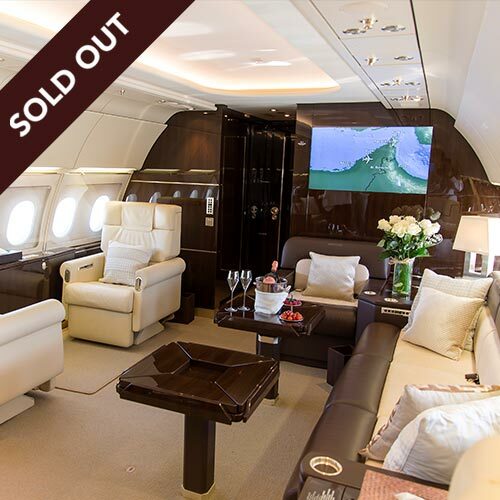 You'll be greeted at the airport, and transported to your luxury hotel. 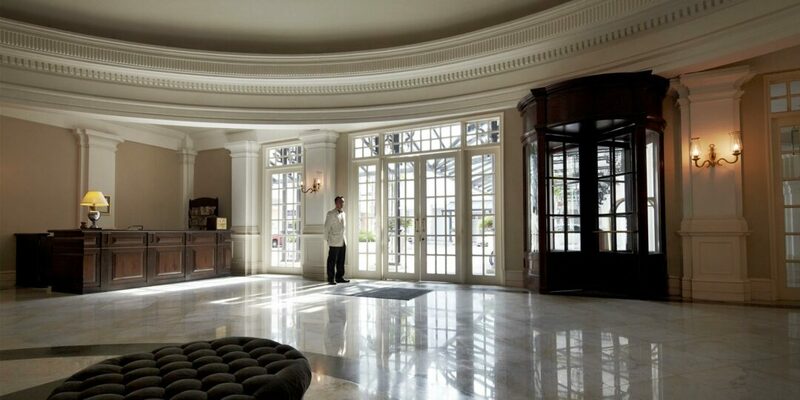 We recommend the Raffles Singapore, a historic destination in itself. Once you've checked out your new temporary abode, head out into Singapore's bustling, pristine streets to explore the city. Check out Little India, Arab Street, and Chinatown, enjoying a bite to eat at a hawker stall. Round off your day with a river cruise aboard a traditional bumboat, meandering through the city’s various bays and quays. Explore more of Singapore today. 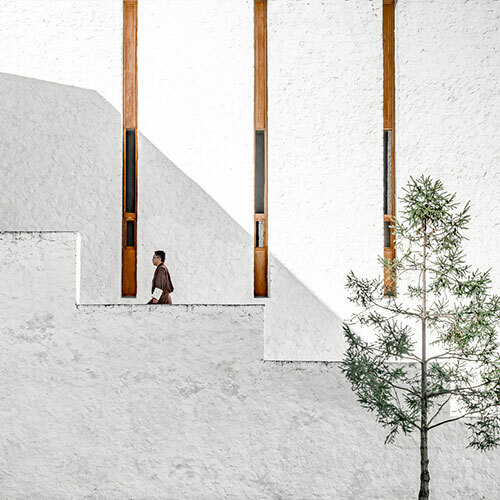 In the morning, embark on an architectural tour of the city, guided by a resident architectural expert who will point out fascinating details and facts. 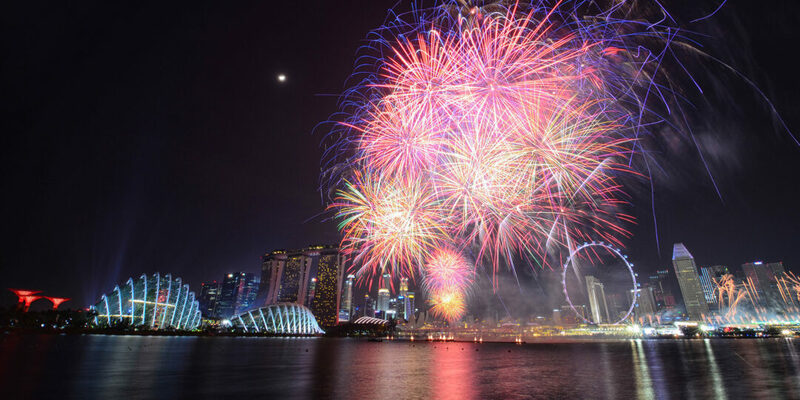 In the evening, enjoy a light show, either at the Botanical Gardens or riverfront at Marina Bay Sands, before toasting to the day with cocktails overlooking the city at Sands SkyPark, on top one of the city’s major attraction and iconic structures, Marina Bay Sands. Learn to cook some of the delicious food you’ve been eating during your time in the city at a morning Singaporean cooking class. 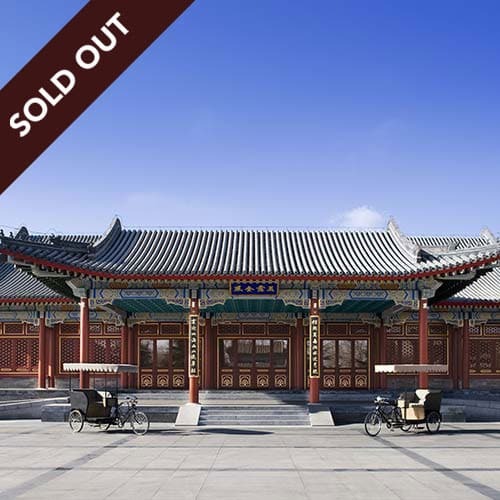 The Asian Civilizations Museum is your next stop, where you’ll gain some intriguing insight into the region’s culture. 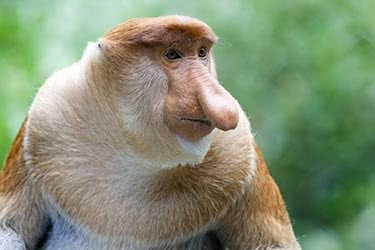 Finally, a trip to the Singapore Zoo is in order for a mystical and exciting safari ride through the rainforest, a perfect end to your Singapore stay. Enjoy a final gourmet breakfast at your hotel this morning, before checking out to embark on the next leg of your journey. 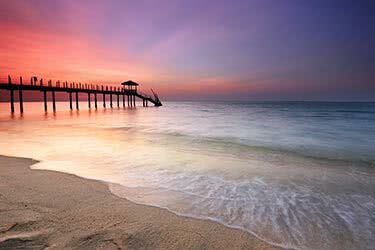 You'll be chauffeur-driven for 3 hours to Malacca, a state on the west coast of Peninsular Malaysia. 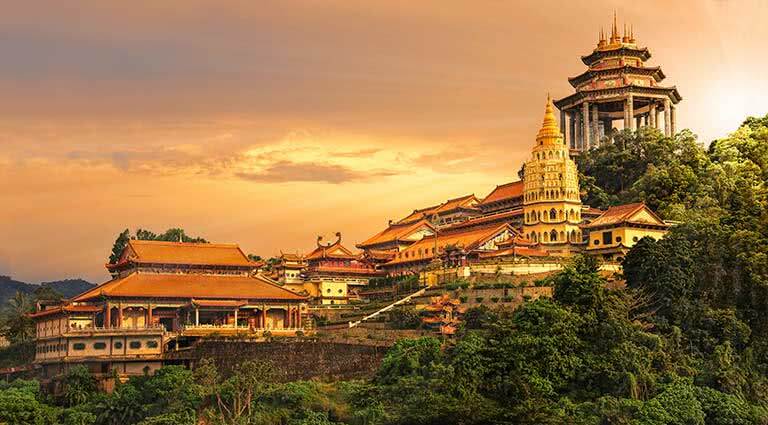 Its eponymous capital city is a UNESCO World Heritage Site, and makes a great layover before you continue your journey to Malaysia tomorrow. Drive 2 hours to Kuala Lumpur today, a major Southeast Asian hub, and a surprisingly modern city. Check in to your executive suite at the Mandarin Oriental Hotel, and step back out into the city to get acquainted with your new surroundings. 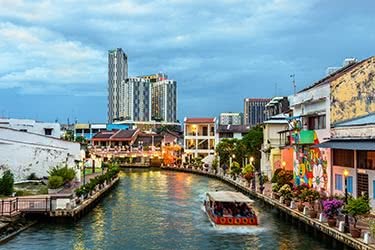 There is lots to see in KL: we recommend Merdeka Square, the Sultan Abdul Samad Building, the Central Market, Sze Ya Temple, and Petaling Street Market. If time allows, round off the day with a trip to the Lake Gardens Butterfly Park, the world's largest. Head back to your hotel this evening to relax and enjoy a restful sleep. After a tasty hotel breakfast, begin your second day in Kuala Lumpur with a visit to the National Visual Arts Gallery. Your museum tour continues with your next stop, at the National Museum, featuring ancient Malay artefacts. 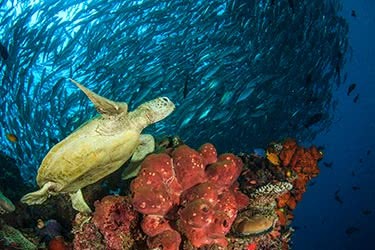 Finally, check out some of Malaysia's colourful sea-life at the Aquaria KLCC. 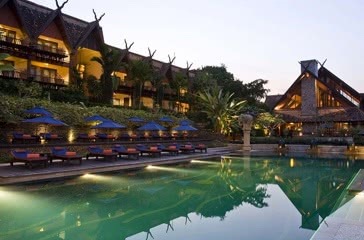 Return to your hotel to enjoy the evening at your leisure. Check out of your hotel and drive 3.5 hours to the Cameron Highlands this morning, enjoying the picturesque landscape from the car window. 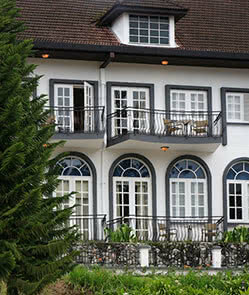 Drop off your bags at the luxurious Cameron Highlands Resort, one of the world's best tea plantation hotels. 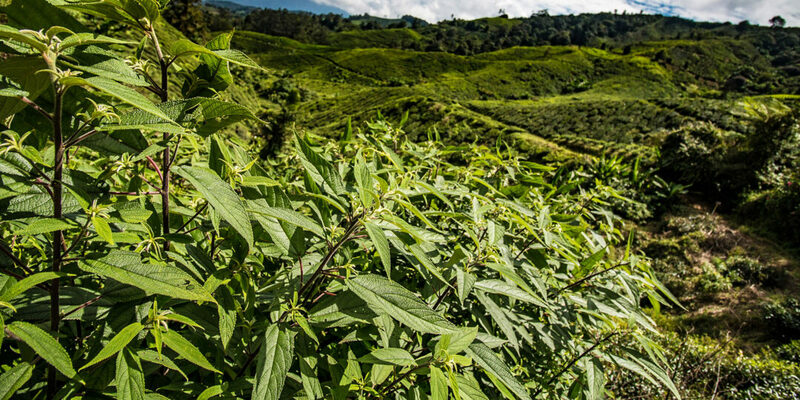 Tour the grounds of Boh Tea Plantation nearby, and savor a freshly-made brew. If you're up to it, peruse the nearby rainforest this afternoon, checking out the local flora and fauna, while breathing in the fresh mountain air. 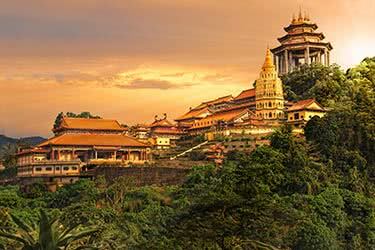 Drive (4 hours) or fly to Malaysia's cultural heart, Penang. Refuel with a steaming hot Indian meal, rich with flavor, from one of Little India's many restaurants. Check in to your suite at the Eastern and Oriental Hotel, and freshen up. Head to Lover's Lane's famous street art, and the centuries-old clan jetties at Weld Quay. 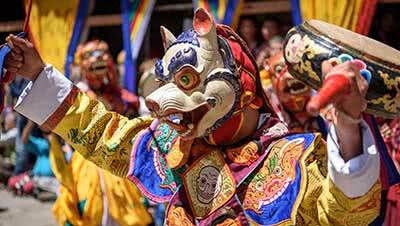 Return to your hotel in the evening, or stay out to experience Penang's nightlife. 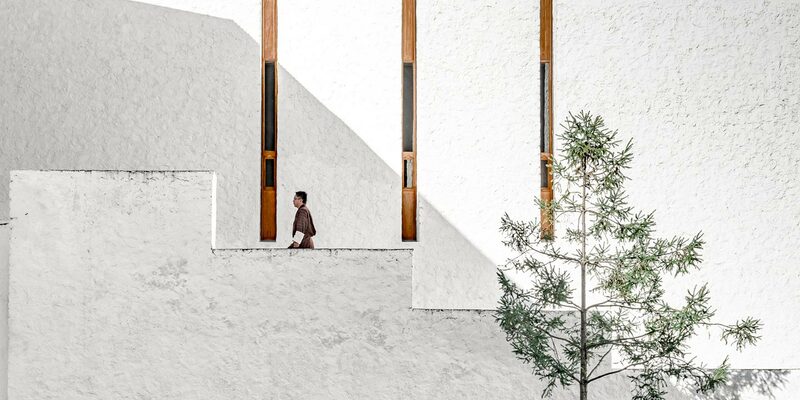 Take in some of Penang's art culture this morning – you may choose from the State Art Gallery, the Alpha Utara Gallery, Galeri Seni Mutiara, Galeri Art Point, and Penang Malay Art Gallery, or even see them all! In the afternoon, you'll see two of the cities most fascinating religious sites, starting with the Kapitan Keling Mosque, with its spectacular red domes, and the Snake Temple, full of live, venom-less snakes. 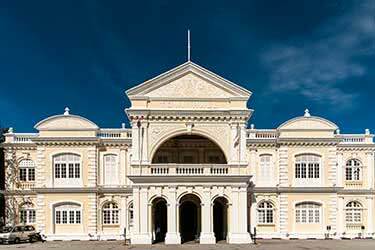 Start your morning off with an attraction named UNESCO's “Most Excellent Project,” Cheong Fatt Tze mansion. Next, scale Penang Hill and check out the spectacular view from the top, as well as unique wildlife along the way. Return to your hotel tonight to unwind and get a good night's sleep ahead of tomorrow's departure. 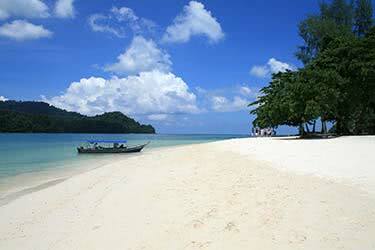 Depart Penang today, and hop on a plane to nearby Langkawi this morning. 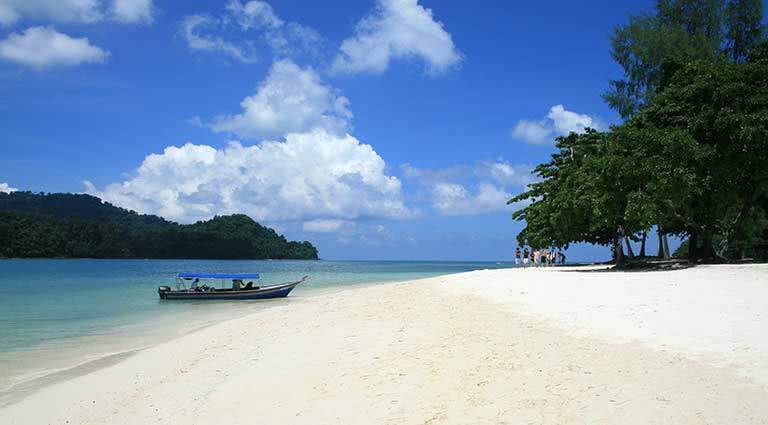 This charming tropical island has excellent strips of beach, ideal for sunbathing. Check in to your suite at the Four Seasons Langkawi, and enjoy the rest of the day at your leisure. Today is all about leisure – enjoy your beach time as you please. If you feel like exploring, rent a car or bike and cruise across the island's 193-square-mile landscape, checking out new, hidden beaches and trying to find the perfect spot for a picnic. 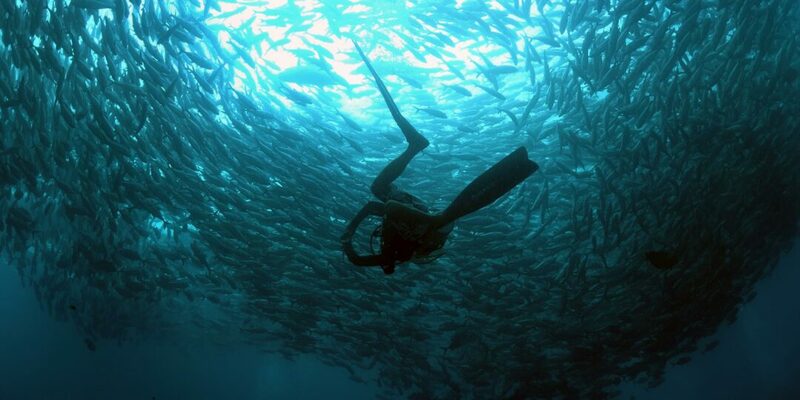 Return to your luxury hotel tonight to enjoy a five-star beachside dinner. Enjoy more leisure time today, enjoying beachside or poolside lounging, or heading out on an island adventure. 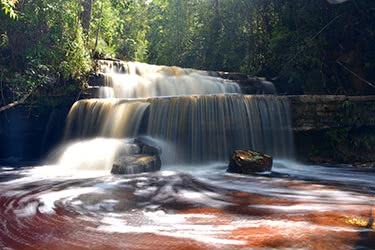 Telaga Tujuh Waterfall is a lovely spot to spend some time, or you may prefer to try out a trek through the island's pristine nature. 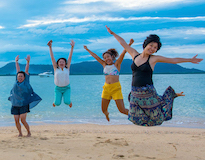 Return to your luxury resort for a final night on Langkawi. Say goodbye to Langkawi and Malaysia today, as your journey comes to an end. You'll be transferred to the international airport in time for your onward journey, either home, or to your next exciting destination. 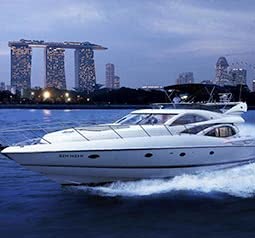 Upon opening in the summer of 2010, the glittering Fullerton Bay Hotel became one of Singapore’s premier luxury properties. Its 100 guest rooms, five culturally themed suites and one presidential suite have floor-to-ceiling windows and balconies overlooking Marina Bay, while the hotel’s interior design by highly sought-after architect Andre Fu features antique nautical maps and newly commissioned art works. Three dining options, also designed by Fu, include the modern brasserie Clifford (named after historic Clifford Pier, where the hotel is located), with an 800-bottle fine wine list and 32-foot windows on the Bay; The Landing Point, a sophisticated lounge with elevated comfort food and creative cocktails served along its 42-foot-long bar; and Lantern, the rooftop bar with an 82-foot-long swimming pool offering skyline views. 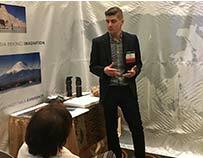 Other facilities include a state-of-the-art fitness center and meeting rooms, while high-speed Internet is available in every room and WiFi is accessible throughout the entire hotel. 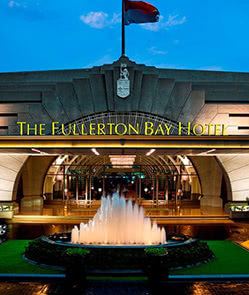 The Fullerton Bay is approximately a 20-minute drive from Changi International Airport (SIN). 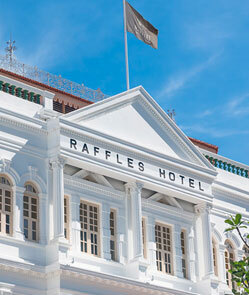 "To have been young and had a room at Raffles was life at its best." - James Michener. 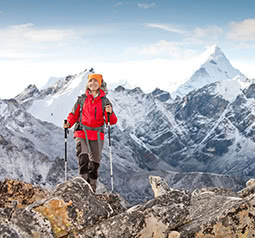 Declared a National Monument in 1987, the hotel has grown from strength to strength. 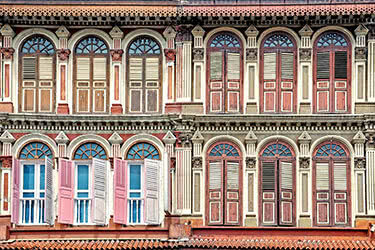 The Raffles has 103 suites, dispersed over four wings buffered by fragrance-filled gardens and linked by breezy verandahs. Here, residents are pampered in an atmosphere of privacy and intimacy, with large airy interiors inspired by the colonial bungalows of the early 20th century - lofty 14-foot ceilings, fine Oriental carpets and original etchings. The Raffles has a complete repertoire of fine eateries, which now stand at 18, making it one of the most comprehensive food and beverage facilities in Asia. Located on the third-floor deck of the Courtyard Wing, the hotel’s 24-hour pool, jacuzzis, and health club are for the exclusive use of hotel residents. 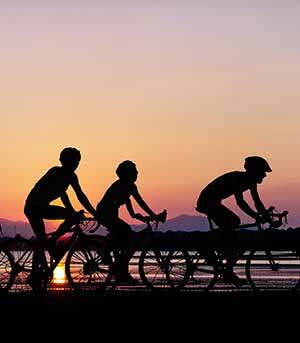 Gymnasium facilities and equipment include treadmills, stationery bicycles, a universal weight machine, sauna and steam bath in the gentlemen and ladies’ changing rooms. RafflesAmrita Spa at Raffles Hotel offers relaxing wellness therapy in the privacy and luxury of a grand hotel. 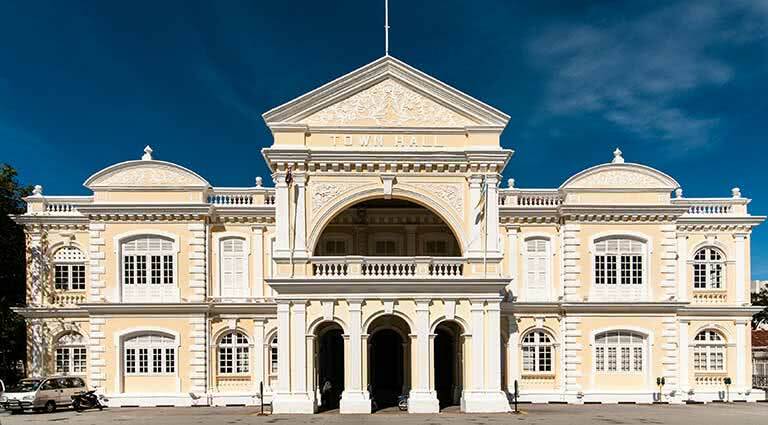 The property also has a pool, shopping arcade, Raffles Hotel Museum, Jubilee Hall (Victorian-style theater for film screenings) and Raffles Culinary Academy. The Raffles is a 2-minute ride on public transportation to the Orchard Road shopping strip and 20 minutes from Changi International Airport. 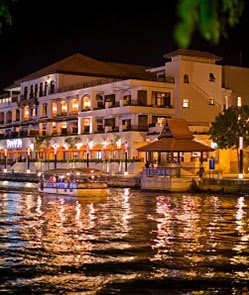 Housed in an elaborate mansion dating back to the 1920s, the Majestic Hotel sits on the banks of the Malacca River, where Chinese junks, or sailing ships, and other vessels once plied their trade. 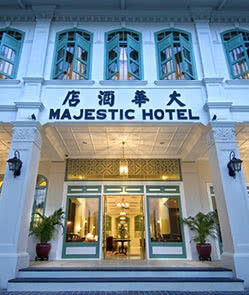 For three years in a row, the Majestic was awarded the “Best Signature Boutique Hotel” by Expatriate Lifestyle magazine, and for good reason; its atmospheric, elegant halls gives guests a taste of the bygone days when Malacca was a mighty, cosmopolitan city. The Majestic offers a variety of suites and rooms, all of which contain floor-to-ceiling windows, separations between the bathroom and the sleeping area, and tasteful, elegant furniture. The Majestic’s in-house restaurant, the Mansion, serves a fantastic array of diverse dishes, drawing from Dutch, Portuguese, English, Chinese, Indian, and Malaysian cuisines. 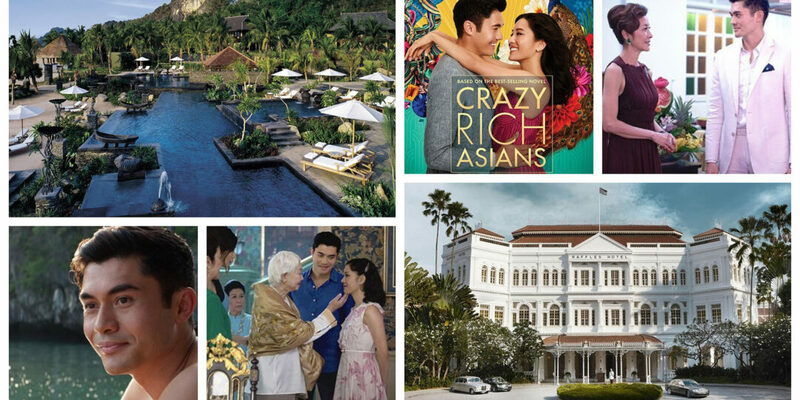 The Majestic also contains a spa, which offers unique, Peranakan, or Chinese-Malaysian treatments, a swimming pool, fully-equipped gym, and a serene library. Inspired by Mediterranean design and local, Peranakan aesthetics, the Casa Del Rio sits along the banks of the Melaka River. Its 66 stylish rooms echo the Portuguese heritage of the area, as well as that of the Melaka Sultanate, a powerful kingdom which once held sway over much of the area; each room features air conditioning, high speed Internet, flat-screen televisions, minibars, in-room safes, and coffee and tea facilities. The Casa Del Rio hosts two restaurants, The River Grill, which serves a variety of Western dishes in an informal and upscale setting, and the River Café, a casual eatery that serves snacks and light foods; in addition there is the Bar Rio, a relaxed, atmospheric venue that offers drinks, live music, and sporting events. 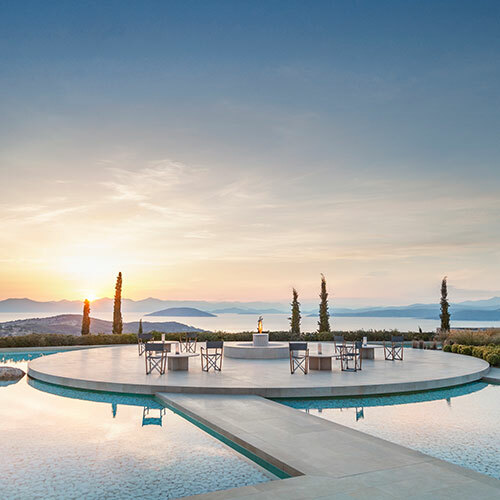 Amenities include a large infinity pool, a fitness center, and a comprehensive spa. 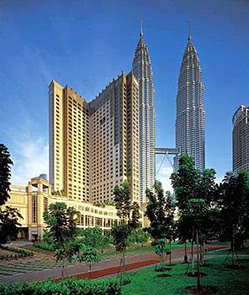 The Mandarin Oriental is ideally situated in the heart of Kuala Lumpur between the Petronas Twin Towers and Kuala Lumpur City Center Park. 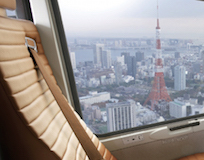 The hotel has 643 rooms, including 41 suites, Mandarin Oriental Club floors, and 51 fully serviced apartments. 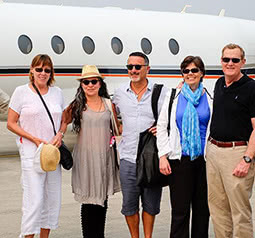 There are also plenty of restaurants and bars, including Casbah, an Arabesque-style lounge, Lai Po Heen, a Chinese restaurant serving Cantonese cuisine, and Wasabi Bistro, a contemporary Californian-Japanese inspired restaurant. Amenities include two ballrooms and 16 function rooms, a business center, high-speed or wireless Internet access throughout the hotel, a spa with nine treatment rooms, a fitness center, an outdoor infinity pool, tennis courts and squash courts. 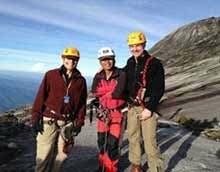 The hotel is only approximately a 30-minute drive from Kuala Lumpur international airport (KUL). 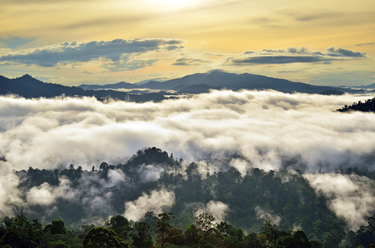 The Cameron Highlands Resort is situated amid the lush environs of Malaysia’s largest hill station, named after William Cameron, a British Government surveyor who discovered the area in 1885 while on a mapping expedition. 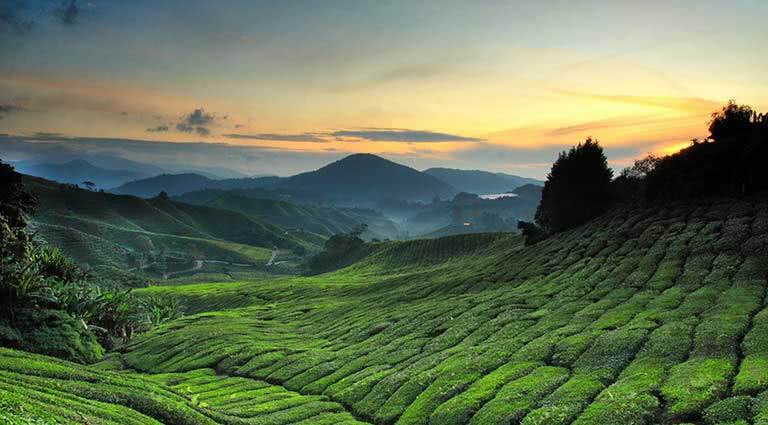 The resort, which looks out on the Cameron Highlands golf course, has won numerous awards from the travel industry and consumers alike, including recognition as one of the five best tea plantation hotels in the world by the U.K.’s Independent. Its 56 rooms and suites are appointed with bespoke teak furniture in both traditional Malay and colonial styles, as well as silk accoutrements by the house of Jim Thompson, the American ex-C.I.A. officer who revitalized the Thai silk industry (and mysteriously disappeared in the highlands in 1967). All rooms have flat-screen TV with satellite channels and Internet. The Spa Village offers a customary variety of pampering health and beauty treatments, while guests can avail themselves of a modern fitness center as well as the aforementioned 18-hole professional golf course. Dining options include The Dining Room, offering a variety of all-day dining options with ingredients sourced from nearby farms; Gonbei, the only Japanese restaurant in the Highlands, which serves sashimi, soba, tempura and more and has an adjoining Sake Bar; and the Jim Thompson Tea Room. 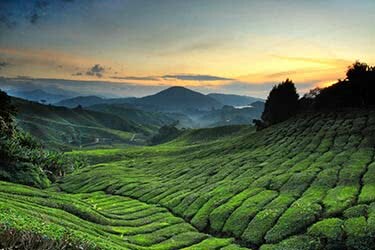 The Cameron Highlands Resort is a 3.5-hour drive from Kuala Lumpur, or a 90-minute drive from Sultan Azlan Shah airport. 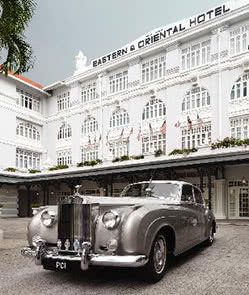 A historical property, the Eastern & Oriental Hotel is reminiscent of British elegance during the colonial era while representing present-day Penang. 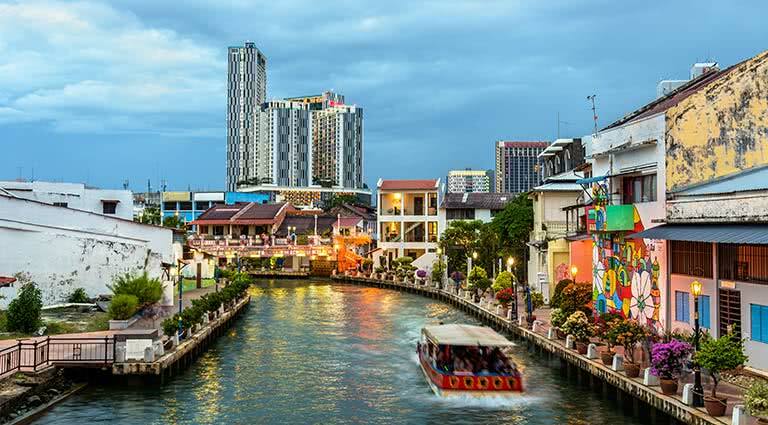 Declared a UNESCO World Heritage site in 2008, the hotel boasts a stellar location, close to downtown Georgetown and the cultural, financial and historical districts are located. With 100 suites, the E&O boasts a 750-foot seafront promenade and facilities including a swimming pool, 24-hour room service, a fitness center, sauna, meeting rooms, a business center and fitness center. Dining options include The Starkles Corner, a casual restaurant serving international cuisine and 1885, a Western-style restaurant serving dinner and traditional English tea. The E&O Hotel is located approximately 20 minutes from the Penang International Airport. 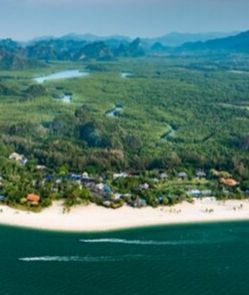 Set on blissful Tanjung Rhu, one of the island’s finest beaches, the Four Seasons Langkawi brings the brand’s trademark luxury to the island. 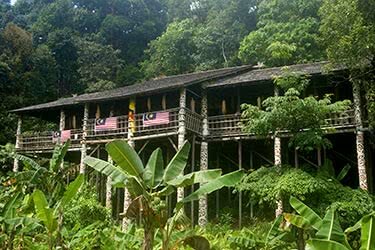 The resort comprises ninety pavilions and villas incorporating Malay aesthetics with Western design principles; all feature DVD/CD players, satellite televisions, Internet access, tea/coffee maker, in-room safe, and telephones. The Four Seasons hosts a series of first-class restaurants, including Serai, an open-air restaurant which serves Italian delicacies made from fresh, local produce; Ikan-Ikan, a Malay restaurant modeled after a traditional Malaysian home; and Kelapa Grill, an eclectic, beach-side eatery serving wood-fired pizza, stir-fries, and barbecue. Amenities include an all-day business center, a fitness center, two outdoor swimming pools, and a comprehensive spa offering an assortment of treatments. 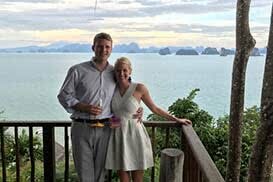 The Four Seasons lies twenty-two minutes from Kuah, the main town of Langkawi, and approximately twenty-five minutes from Langkawi International Airport (LGK). 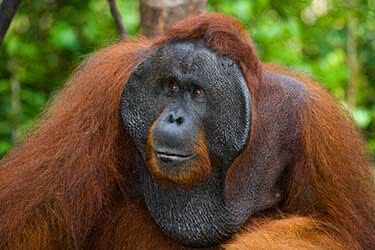 Take in the UNESCO-listed iconic sites of Malaysian Borneo on this insightful 7-day luxury journey. 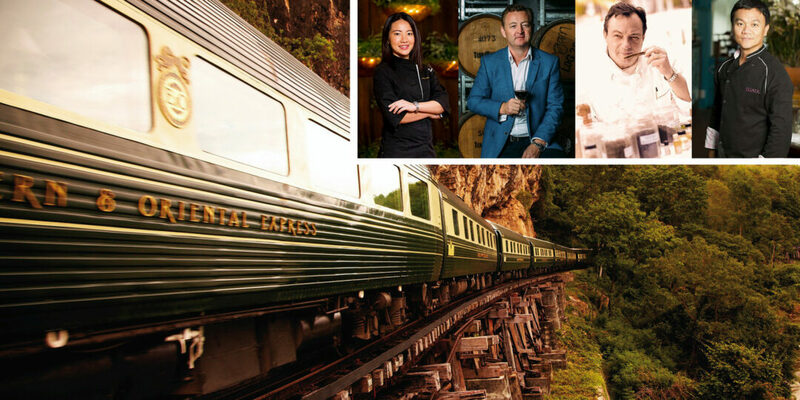 You’ll visit a “living museum,” trek through the stunning Mulu National Park, hike through Asia’s longest cave, relax in hotsprings, and stay in some of Borneo’s must luxury accommodation, like Shangri-La Rasa Ria.